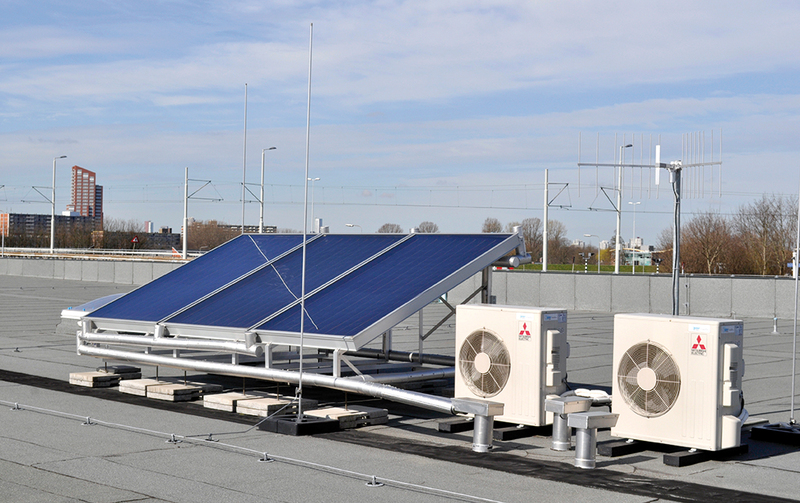 RET installed a solar thermal system on the roof of its new Beverwaard tram depot to produce hot water for showers. This installation is based on daily water needs for eight showers. The system was placed on the roof above the office area. It includes two collectors with a total surface area of 8.24 m2 and an adjacent boiler barrel of 300 litres. The estimated CO2 savings amount to some 800 kg per year.